Golden eagles taken from nests in the Highlands and Islands may be released in southern Scotland. The first releases could begin as early as next year subject to checks and consultation. The golden eagle is a symbol of the Highlands but scientists say it should be equally at home further south, even building a land bridge for birds returning back into northern parts of England. Currently there are only four breeding pairs of Golden Eagles in south west Scotland and these birds have had limited nesting success. If all goes according to plan, as many as eight birds will be released each summer, over the next three to five years. A report published by Scottish Natural Heritage in 2014 found the area could support between 11 and 13 pairs of Golden Eagles. Some experts believe the figure could be higher still, with as many as 16 breeding pairs. 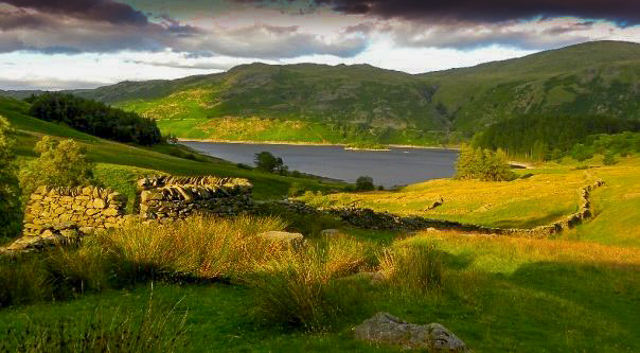 Golden Eagles have all but disappeared in the north of England, with only a single male bird now remaining at the Mardale territory in the Haweswater Valley. Eagles returned to breed at Haweswater in 1959 but their first breeding attempt failed after the nest containing two eggs was disturbed by bird watchers. 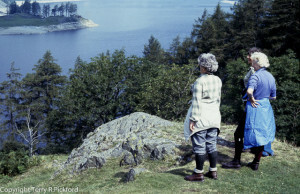 Two Eaglets in a west Cumrian eyrie 1971. 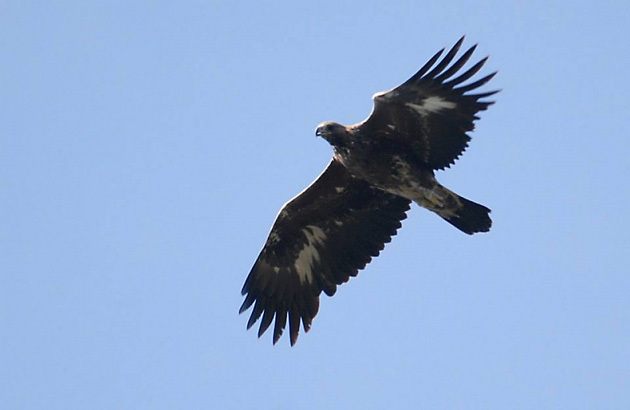 A second nesting pair of Golden Eagles were discovered in 1971 by Paul Marsden and Paul Stott, two members of the North West Raptor Group, at a remote site in west Cumbria. The breeding pair suffered constantly each year from human disturbance. The pair eventually deserted their nest containing 2 eggs after being disturbed by a local photographer in the early 1980’s, the eggs were removed and handed to the RSPB. In 1983 the female was found dead close to Wastwater bringing a final close to what could have been the beginning of a new and exciting chapter for the Golden Eagle in west Cumbria; sadly it was not to be. Terry Pickford discovered a third Golden Eagle eyrie near Shap in 1972 built in a fir tree east of the A6 just a few miles north of Kendal. Disappointingly the female while incubating a clutch of two eggs was found shot in the head by a small calibre bullet, possibly from a .22 rifle. It is thought the relocated birds from the Highlands could eventually help the species extend its range back into Cumbria and Northumberland. Illegal persecution remains a serious concern, but the environment minister, Dr Aileen McLeod, said she was determined that the persecution of raptors would “not be tolerated under any circumstances”. She said: “It is particularly encouraging to see so many partners working hard to return golden eagles to the skies above the South of Scotland, in a way that enables grouse shooting to co-exist alongside birds of prey. 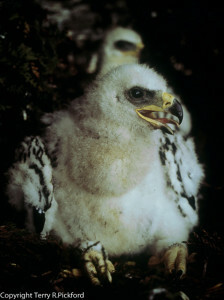 “The Scottish government has already taken action to put an end to the illegal killing of wild birds and I will continue to take whatever steps are necessary, which could include further tightening the law.”The South of Scotland Golden Eagle Project is supported by Buccleuch Estates, the landowners’ organisation Scottish Land and Estates, RSPB Scotland and Scottish Natural Heritage. 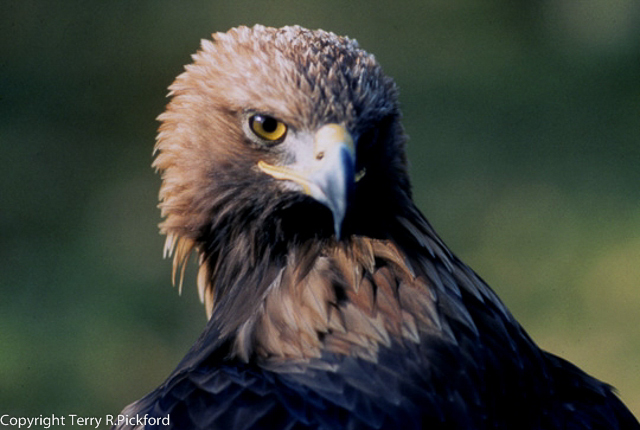 The Chief Executive of Scottish Land and Estates, Doug McAdam, told BBC Scotland: “Landowners value golden eagles, they are one of our most iconic birds and I think people will work hard with us to make this project a success. Many people still visit Mardale in the hope of catching a glimpse of the remaining single male eagle still displaying and calling for a mate to join him, without any success. Let just hope this all begins to chance in the near future. How can an estate with a history of raptor persecution like the Buccleuch estate be allowed to be involved in this project ? Skydancer, its because of the money and the power this landowner has at his disposal.